Lumpwood Charcoal is a quick and easy way to get your barbecue off to a roaring start. 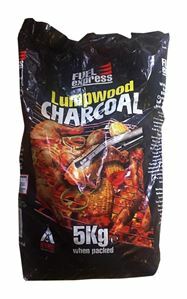 Lumpwood charcoal is an easy to light, high quality charcoal which burns with a good flame and has high heat output. It rakes and tumbles well and is easy to store.